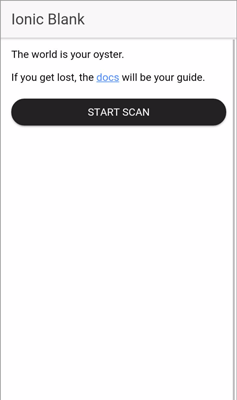 An example of creating Ionic 3 Angular 4 Cordova Barcode and QR Code Scanner using Ionic 3 Native Barcode Scanner. This tutorial shows you how to create an example of Ionic 3, Angular 4 and Cordova Barcode and QR code Scanner using Ionic 3 Native Barcode Scanner. 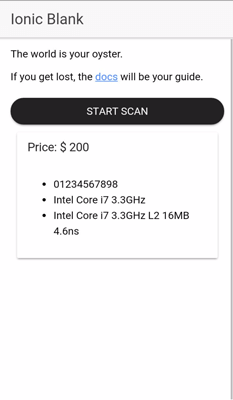 Actually, there is an Ionic 3 QR Scanner plugin, but we decide to use this Barcode plugin that can scan both Barcode and QR code. This barcode and QR code scanner example is price checker app. So, the app will use local JSON data to get a price by barcode or QR code number. Here's the app flow. To add Ionic 3 Native Barcode and Toast plugin, just type this commands. 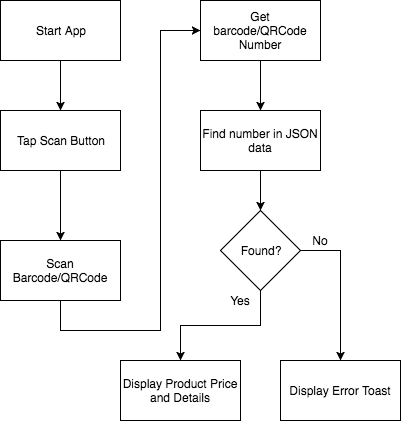 Before implementing Ionic 3 Barcode or QR code scanner on view and controller, first we have to make a JSON file for product data. Create a new folder inside `src/assets` by type this command. Inside that new folder create a new JSON file. Now, fill the JSON file with single data like this. "desc":"Gaming DDR5 RAM 16GB PC-128000 For x64 PC"
"desc":"Intel Core i7 3.3GHz L2 16MB 4.6ns"
Next, create a service or provider for accessing the JSON data by typing this command. Open and edit `src/providers/data-service/data-service.ts` then add this function after constructor. Don't forget to register `HttpModule` in `src/app/app.module.ts` by add this import. And declare this `HttpModule` in `@NgModule` imports. Now, open and edit `src/pages/home/home.ts` then add this import. And inject all of that imports to the constructor. Declare this variables before the constructor. Add this function for get JSON data inside constructor body. Create a new function for scan barcode or QRCode. Now, open and edit `src/pages/home/home.html` then add this lines to `<ion-content>`. Before test on the real devices make sure you have connected your Android/iOS device to your Computer. 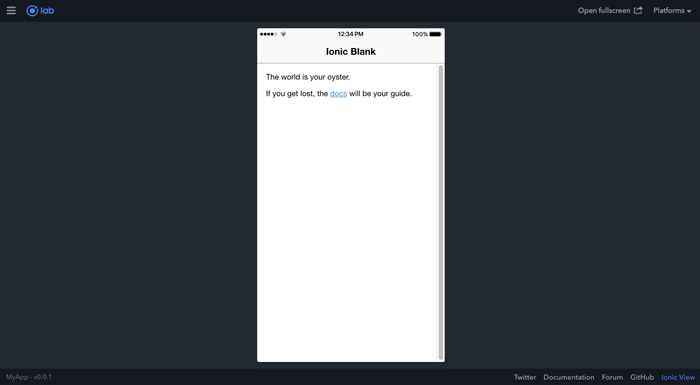 For safety, add remove Ionic Cordova Android/iOS platform. Now, run on your Android/iOS device. You will land on this page. Go to online barcode generator or QR code generator to create your barcode or QR code then scan it. If found you see the product price and details below the scan button. Otherwise, you will see Toast with `Not found` message. That it's, please leave your comment, suggestion or critics below. You can find the working source code on our GitHub.